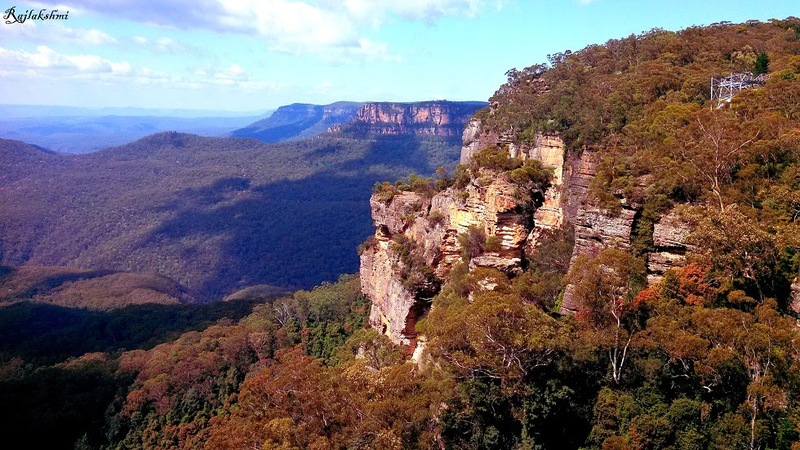 Are you looking for an adventure around Sydney, or probably a peaceful weekend in the arms of nature. Here are few of my favourite Hiking and Lookout points in the magnificent Blue Mountains. 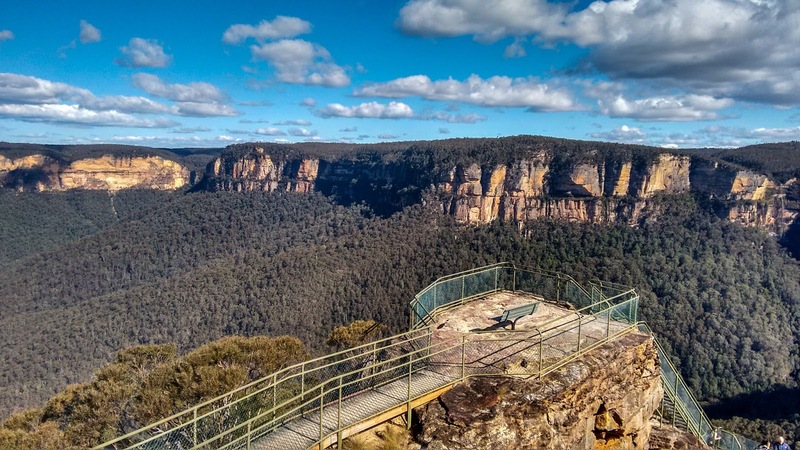 Overlooking the stunning Grose valley, Govetts Leap Lookout is one of the many beautiful view points in Blackheath. 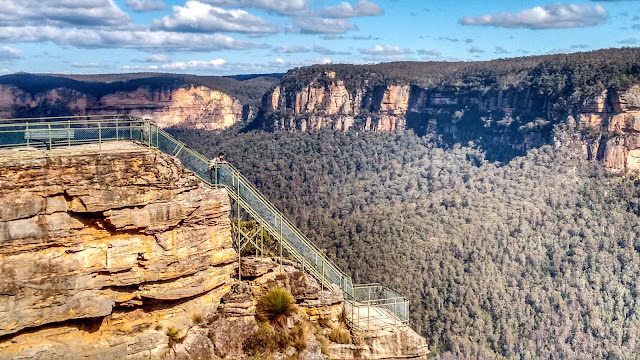 Adventure lovers can pick any of the walking/hiking tracks from here, which takes you along the clifflines providing a stunning view of the Blue Mountains. You will come across waterfalls, pristine streams, rugged rocky path going up and down the hill. 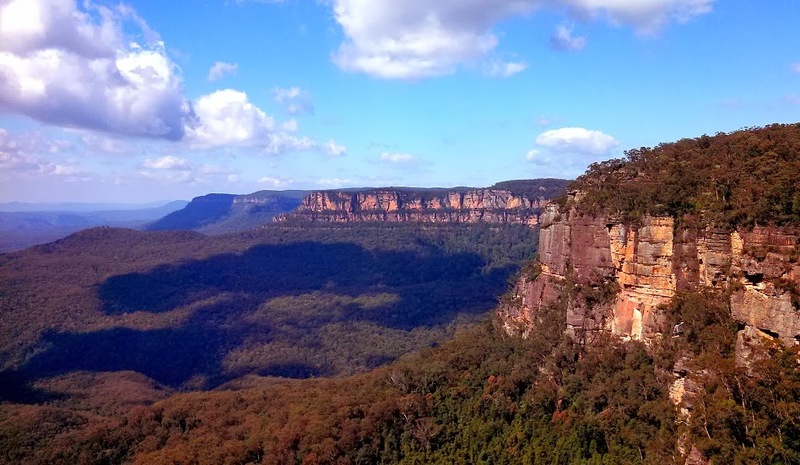 On my first visit I went for hiking all the way to Pulpit Rock, about 3km away. 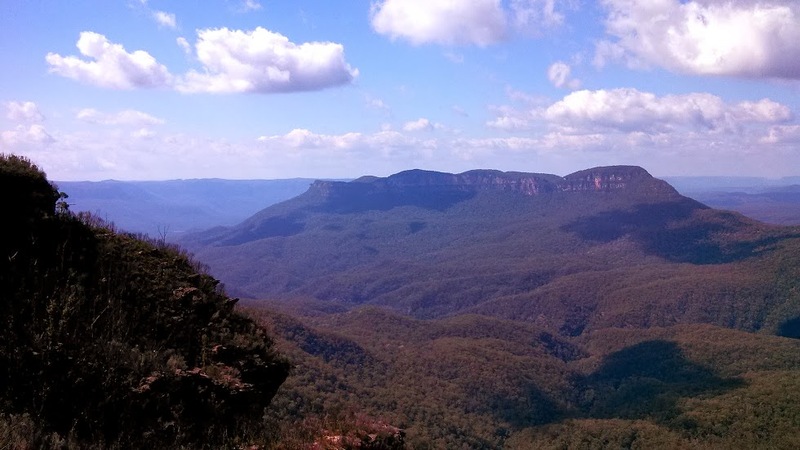 You can read more about my hike here - The magnificent Blue Mountains. 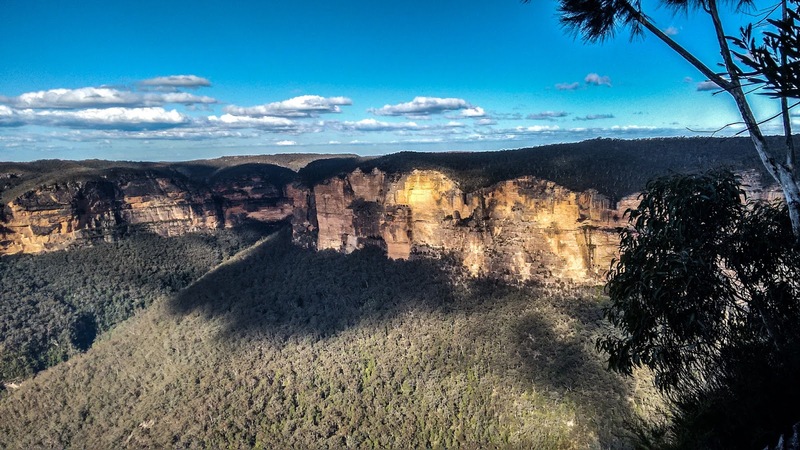 I was mesmerised when I reached Pulpit Rock after about 2 hours of hiking from Govett's Leap Lookout. Yup, that's me trying not to feel dizzy or be blown away by the strong winds. This view is forever engraved in my mind. One feels so insignificant against the magnanimity of nature. You can directly drive to the Pulpit Rock Lookout cap park and then walk for about 500 m to reach the spot. In addition, this spot makes a great travel photo. Another beautiful lookout in Blackheath, providing view of the Grose Valley, and sandstone cliffs reflecting orange hues. 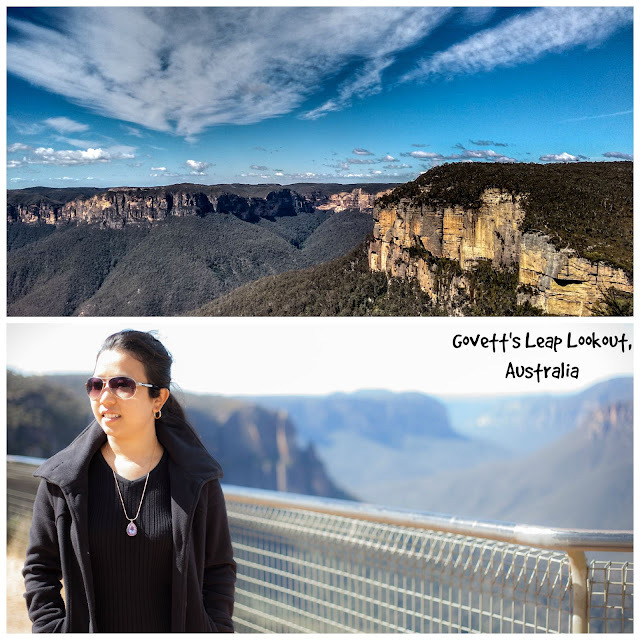 The viewpoint is located about 500m from the carpark but you can also hike to this point from Govett's Leap Lookout. 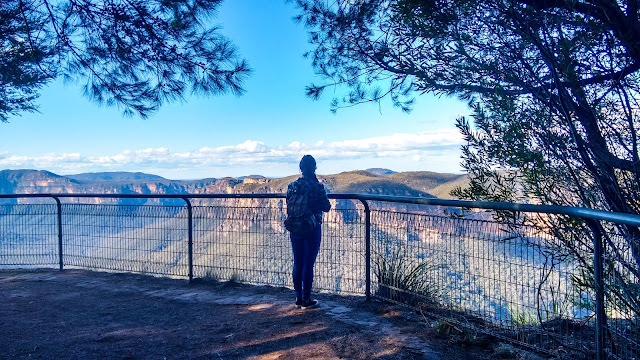 Allow about half a day to cover Grand Canyon Walk, starting from Evans Lookout. 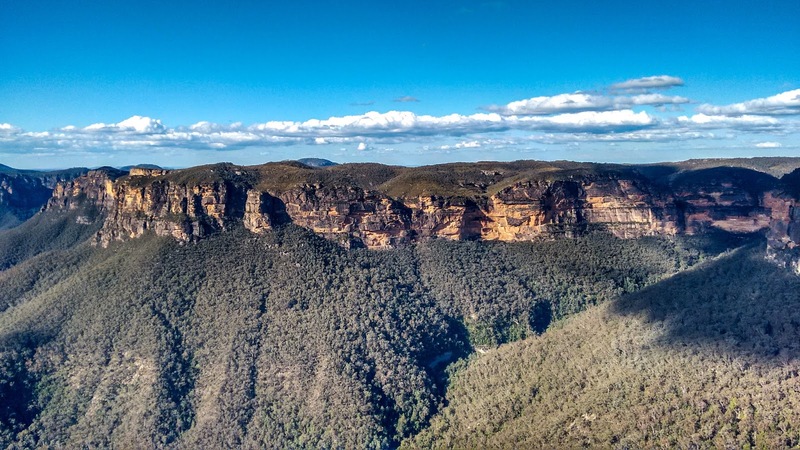 This is one of most famous tourist attraction places in Blue Mountains, Katoomba, overlooking Jamison Valley and providing spectacular view of the iconic Three Sisters Rock. Finding a parking spot on public holidays is a struggle though. 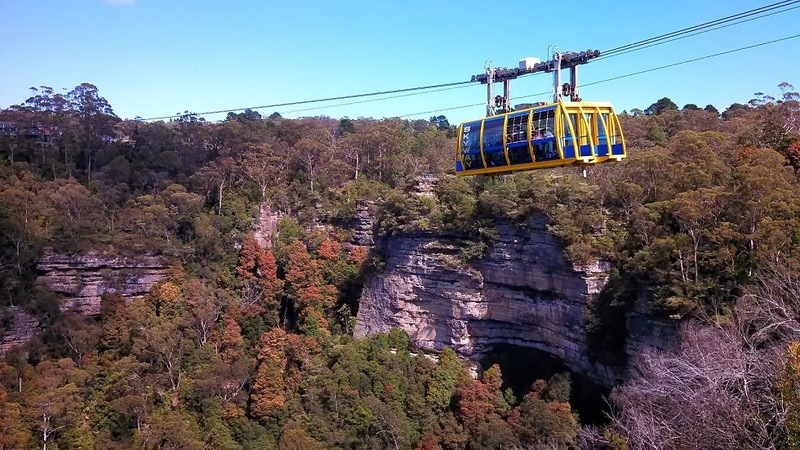 Add a bit of thrill to your sight seeing by being suspended 270 meters above, in a skyrail, which even has a glass floor that provides a lovely view of the Jamison Valley and Katoomba Falls. After alighting from the skyrail you can take the world's steepest railway in the world. Hello, beautiful views and a lovely place. Gorgeous collection of photos. I have a healthy fear of heights so promise you I wouldn't get far here, although your photos are truly lovely! I'm simply "chicken"! I am stunned by your beautiful photos! I would like to visit all those viewpoints. Wow i am so envious you experienced all those. 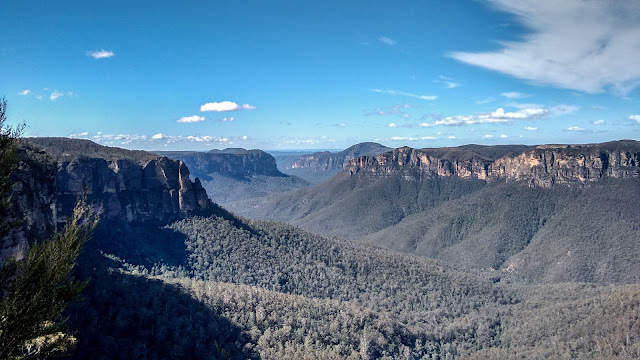 My last visit to Blue MOuntains was in 2014 but i wasn't able to see beyond the 3Sisters lookout. We tried a trail to its foot but was closed that time. I wish i had a whole day there with companions who want what i want too. So beautiful.. all those blue skies and mountains. Spectacular. Beautiful! Beautiful! How I miss Australia, girl! uuuuu, this is right timing for me (your post, I mean :-) )! 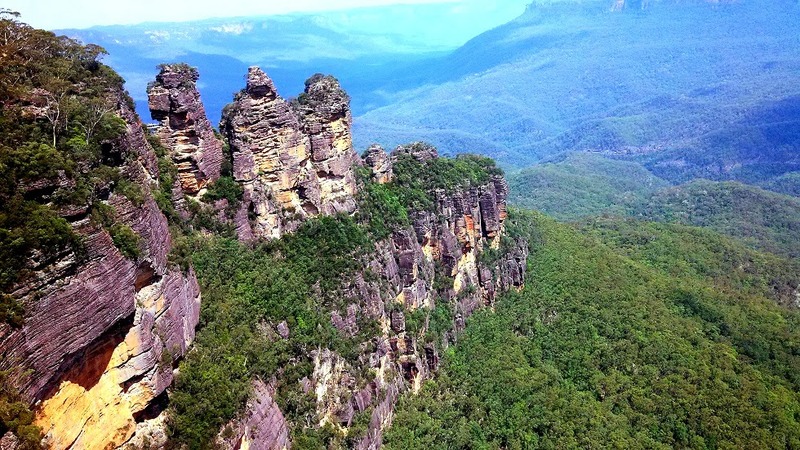 I am preparing to go to Australia in a couple of months and Blue Mountains are on the list. Will read the posts carefully. Images are stunning. This reminds me in many ways of the Grand Canyon and Sedona, Arizona, USA. Lovely images; lovely place. So glad I bumped into this post! Stunning magnificent views beautifully photographed. Although I lived in Australia for a time and visited many places I never got to the Blue Mountains. Maybe I should try to plan a return trip to make sure I see them. Really beautiful views and a lovely place to explore. These mountains really make us realise how small we are in front of Nature, as it is way powerful than all of us. Blue Mountains World Heritage Area is one of Australia's most spectacular natural parks. The area also offers an enormous variety of activities to enjoy as 2years back I did a blog contest on Australia and I also won it. 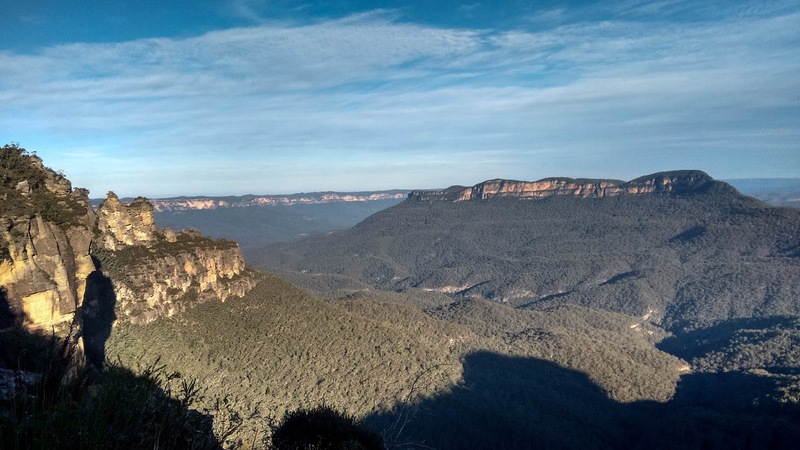 The Blue Mountains make for the perfect holiday destination for families, nature lovers, and adventure seekers. Bushwalks abound in the region and are an excellent way to take in the natural attractions, with trails to suit all ages and levels of experience.